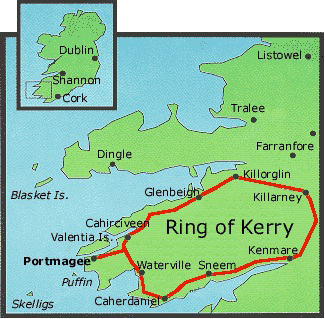 This tour will provide the Tourist with a visit to two iconic Irish tourist destinations, The Ring of Kerry is a must see visitor attraction and has some of the most fantastic scenery in Ireland. We will Visit Kilarney and the Birth Place of the “Liberator” Daniel O Connell and also Molls gap, Ladies View and Sneem. From there we will Travel to the picturesque town of Blarney Co Cork and kiss the World Famous Blarney Stone.